SASKATOON, SK - February 1, 2017 - Saskatoon Sports Tourism, in partnership with Canada Basketball, is pleased to announce that Saskatoon will host the only FIBA 3x3 World Tour Masters event in North America in 2017. This professional 3x3 basketball event will take place in conjunction with Taste of Saskatchewan on July 14 - 16, 2017 in downtown Saskatoon (4th Avenue & 21st Street). In addition to the 2017 event, Saskatoon will host the FIBA 3x3 World Tour Masters in 2018 and 2019, securing the rights to the event for three years. Saskatoon&apos;s own foursome of Michael Linklater, Michael Lieffers, Nolan Brudehl and Steve Sir (Edmonton) will participate in the tournament. The squad finished the 2016 season in 10th place and are each ranked in the top 20 globally. Together, with former member Willie Murdaugh, they have a combined 378 games representing Canada at events around the world, including three consecutive FIBA 3x3 All Stars from 2014-16. "For the last four years, Team Saskatoon has contributed to put the city on the 3x3 basketball map", said Alex Sanchez, FIBA 3x3 Managing Director. "It&apos;s an absolute delight for us to witness the support from the local community. We&apos;re thrilled to have the opportunity to see one of the World Tour&apos;s most successful teams compete in their home town in front of their fans and supporters." 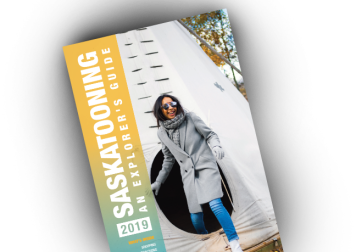 "Not only will Saskatoon have the opportunity to showcase our city internationally, but we have the unique opportunity to showcase the skill of Team Saskatoon, one of the best FIBA 3x3 teams in the world," said Todd Brandt, President & CEO of Tourism Saskatoon. "Saskatoon is incredibly excited to host the FIBA 3x3 World Tour Masters in our downtown and we can&apos;t wait to see basketball fans from across Canada join us in Saskatoon in July." The Saskatoon FIBA 3x3 World Tour Masters will be comprised of 12 teams of four players from around the world participating in a two day tournament. In addition to the main event, a slam dunk contest and a shoot-out contest will take place in between games. Live music, cheerleaders, dance teams and other entertainment will be held throughout the weekend. An amateur 3x3 tournament is also being planned to take place on satellite courts alongside the FIBA 3x3 World Tour Masters. "We&apos;re excited to have Saskatoon hosting the FIBA 3x3 World Tour Masters in Canada, showcasing our nation as a world class destination for international basketball events," said Michele O&apos;Keefe, President & CEO, Canada Basketball. "3x3 basketball has experienced rapid growth and notoriety around the world as a key motor in advancing the game and we look forward to further developing it here at home." In the lead up to the 3x3 World Tour Masters, seven regional events will take place across the country as part of Canada Basketball&apos;s 3x3 Canada Quest series. The winners of the elite division in each of the seven regionals, along with an additional wild card team, will qualify for the 3x3 Canada Quest Finals. The top two finals teams will then qualify directly to the FIBA 3x3 World Tour Masters in Saskatoon. With over 250 million players worldwide, 3x3 basketball is amongst the most played recreational sports in the world. Following the successful introduction in the 2010 Youth Olympic Games in Singapore, the ultimate goal is that 3x3 becomes a self-sustained new FIBA discipline and enters the Olympic Games by 2020. Considered to be the number one urban team sport in the world, 3x3 basketball is increasingly becoming important for the development of basketball. The FIBA 3x3 competition network includes open tournaments, FIBA 3x3 World Tour (for professional teams representing a city) and the FIBA 3x3 World Cup (for national teams). For more information, visit www.fiba3x3.com. The 2017 3x3 Canada Quest boasts seven regional events across the country, with the winners of the elite division qualifying for the finals in Edmonton, AB. 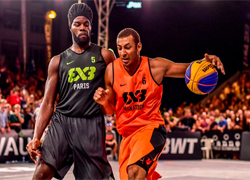 The top two finals teams will qualify directly to the FIBA 3x3 World Tour in Saskatoon. For more information, visit www.basketball.ca/en/page/3x3-canada-quest.